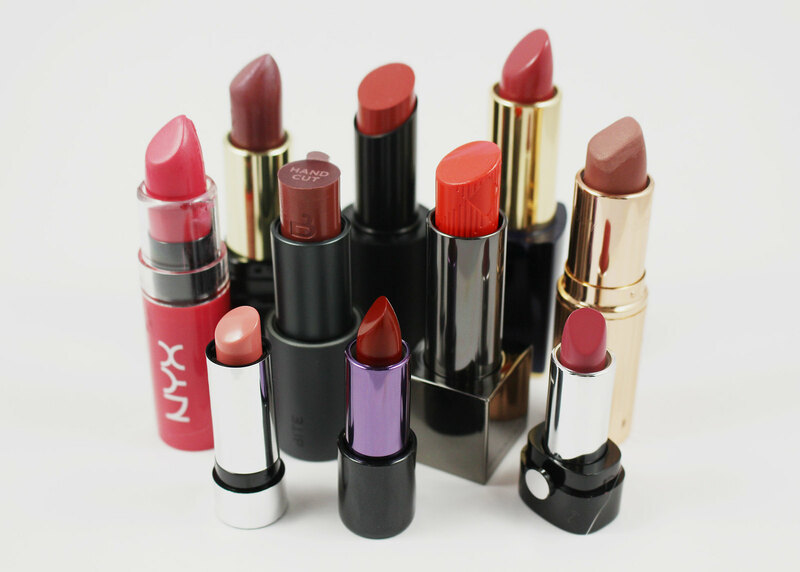 Of all my makeup vices, my love of lipsticks is the worst. At last count, I have around 150 lipsticks with me here in Kosovo (which is probably between 70-80% of my collection). Completely excessive. What makes the sheer number of lipsticks I own even worse is the fact that almost half of these are unused. That's right, there are about 70 lipsticks that I own that I have never so much as swatched. The same goes for lipgloss! My problem is that I always want to buy the newest shades and formulas on the market, but when it comes to actually wearing them, I often stick with my old faithfuls. To get myself out of this rut, I've decided that I am going to force myself to wear a different lipstick or lipgloss each day. Once their day is up, they go into a bag so I can keep them separated from the rest. Within a few months this should ensure that I have at least tried most of the lip products in my collection. Once I go through these, I'll report back and let you know if there were any surprises or lessons to be learned from this experiment. I will also be able to let you know how closely I actually stuck to this plan! I started this regime about a week ago and already I've uncovered one gem (hello, Sephora Rouge Infusion Lip Stain in Peony!) Off to a good start, I'd say.